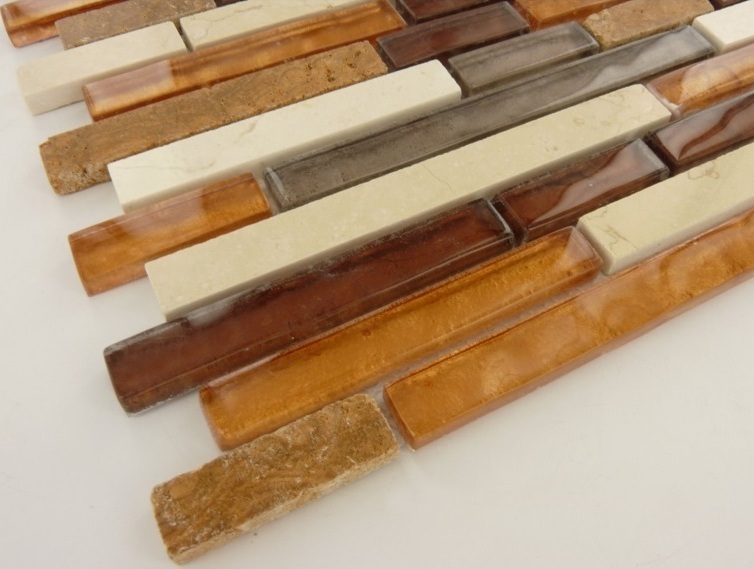 Rustic Copper Interlocking Mosaic Tiles feature a harmonizing blend of natural stone and glass tiles. Warm gold and red tones contrast beautifully with cool grays, while the natural stone serve as the unifying element. Rustic Copper Interlocking Mosaic Tiles feature a harmonizing blend of natural stone and glass tiles. Warm gold and red tones contrast beautifully with cool grays, while the natural stone serve as the unifying element. These tiles are suitable to use in installations including backsplashes, countertops, floors, accent walls, and other architectural features.